I’m going to throw it out there. You also have the black-white dynamic and the majority of Redskins fans are white. And it’s just human nature, if you’re white to root for the white guy,” Bayless contended. “It just happens in sports. Just like the black community will root for the black quarterback. I’m for the black guy. I’m just saying, I don’t like the dynamic for RG3. It could stunt his growth in the NFL. You know what? I’m not mad at Bayless for what he said. I think there may well be some truth to it, whether we like hearing it or not. I certainly know that from a minority perspective, it is absolutely the truth that very often we will pull for a certain player to do well because he or she looks like us. Often, this has to do with breaking down barriers or because we want someone to serve as an inspiration to others, especially young people. Think Tiger Woods when he burst on the scene. Think Doug Williams winning the Super Bowl as the first Black quarterback. Obviously, think Jackie Robinson and the Dodgers. Do I root for Black athletes more than White ones? No. But I do sometimes. And that’s true for me rooting for other minority athletes as well. Is it racist to do so? I don’t think so. But maybe it is. To me, as I said above, I do it usually because I want to see more people of color succeed as a way to show we can compete with anyone in anything. 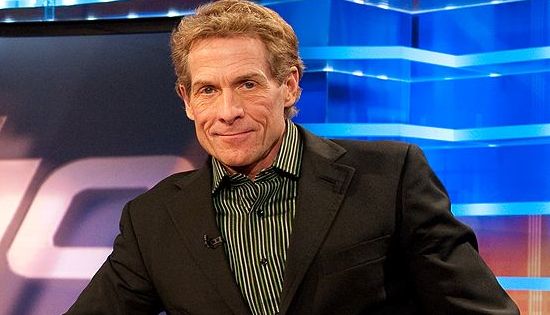 So then is it wrong, if Bayless is right, that Whites will root for the White guy? I guess I really couldn’t argue with that if I do a similar thing at times, no matter how noble I think the motivation might be for me. I do hope that in time we all get to a point, where equality in sports, and other areas, is such that we can always root for a team or player simply because we like them or they are on our favorite team, regardless of what their ethnicity is. Looks like we aren’t quite there yet. Here is a link to a larger article on the controversy.